Surveillance is the new black. It is important to understand that organizations such as Google, Facebook, city councils and more are actively collecting data and creating data sets with useful information. Contrary to popular opinion, we do not live in the age of “data is the new oil”. All Data is not valuable, and we have to choose what is data and create the mechanism to track it. It is no longer Data Mining but “Capta Agriculture”. there should be a field of Design worth capturing, what kind of information do we want to track from citizens? Mostly as designer we must navigate these systems, create within this framework but we must not become the system. 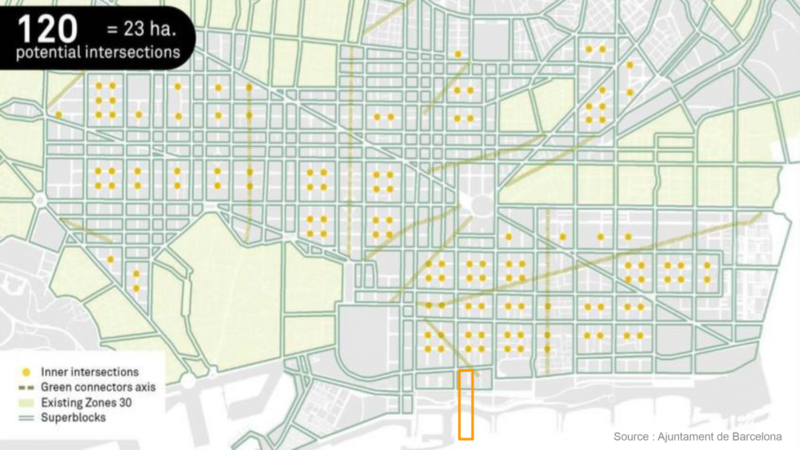 The Superblock is currently one the most important development plans in Barcelona, and the site for design intervention is an intended superblock in South of Barcelona. One of Superblock’s objectives is to transform the city’s grid from a car-oriented one to a public space for pedestrians. 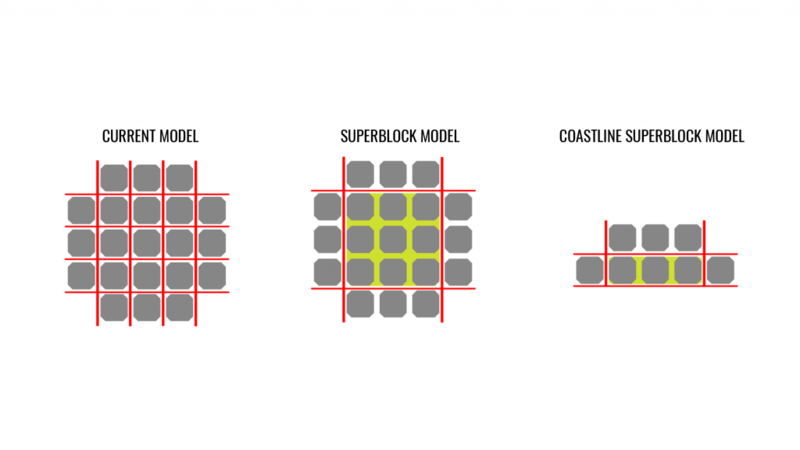 The Superblock model along the coastline consists of three blocks compared to the usual Superblock size, which consists of nine blocks. Moreover, the neighborhood (Superblock) is disconnected from the coastline (the beach) by the highway. 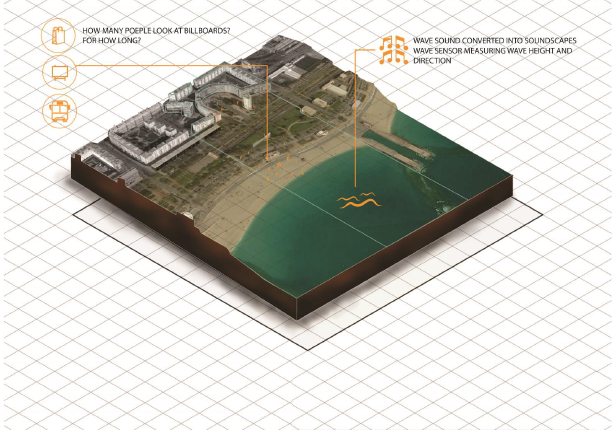 The boundries of the Coastline Superblock can be extended, including the highway and the beach, creating a new typology of superblock stitching the beach back with the urban space by covering the highway. The new boundaries defining the coastline superblock enables us to have variety of spaces, including the neighbourhood, the highway, and the beach. 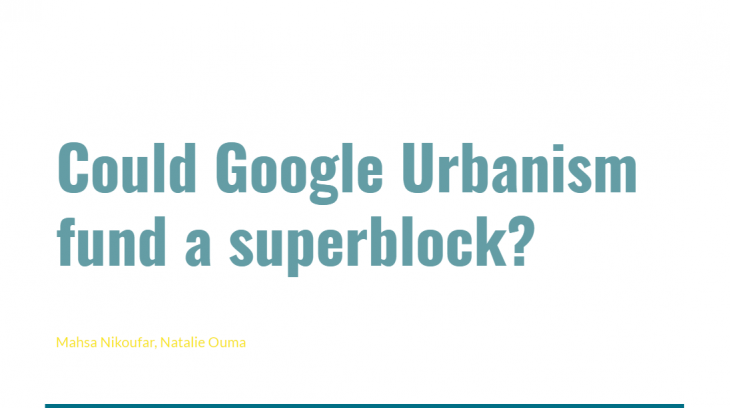 This is where the idea of Google Urbanism is embedded. 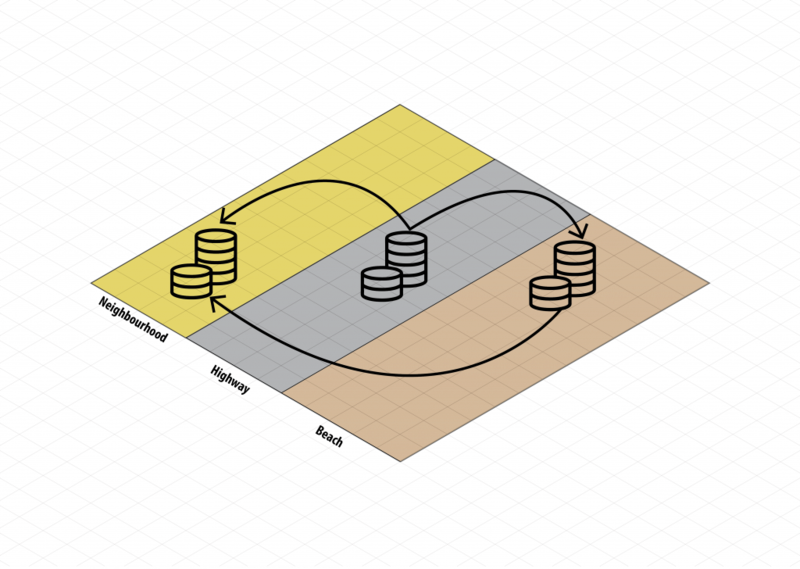 We define datasets for each section of the site, which enables funding the project. The beach and the highway fund the superblock, and the highway funds the beach. 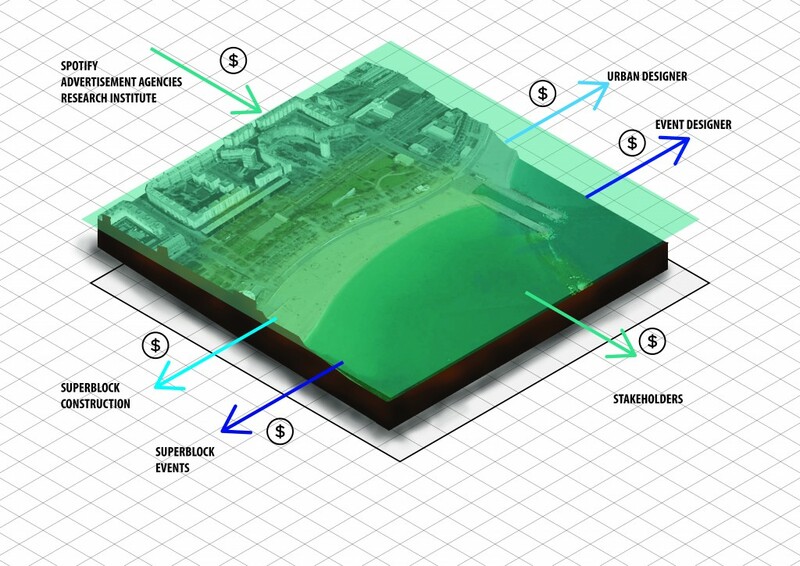 PHASE 1: Developing the superblock that the city council has also intended to build. 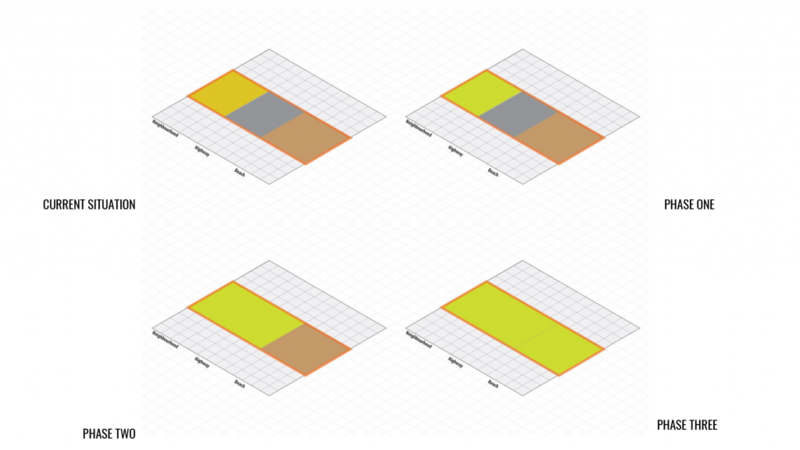 PHASE 3: Defining new activities and event to have new datasets and enhance the quality of space in the future. CCTV cameras with AI programs embedded within them,recording the people on the site without a certain notification. Network infrastructure survailling the user on the site. The user is informed by terms & conditions. 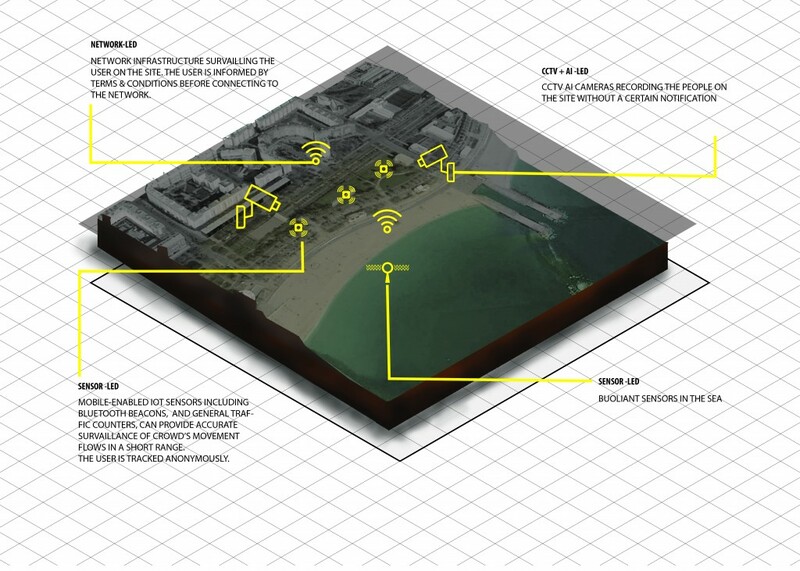 Buoliant sensors in the sea, and Mobile-enabled iot sensors. The user is tracked anonymously. The funds sponsoring the superblock will be generated through multiple means. First, the advertisement revenue acquired from cameras assessing: how many people look at billboards? For how long? And there emotional reactions to it? In this way, the site will become a way for advertising agency to prototype campaigns for different user groups. Second, wave data gathered from sensors in the water will be sold to oceanographic institutes seeking to understand contamination flows from the beach. Eighty percent of the revenue will go to fund the superblock while the designers will receive 20%. Once the superblock is funded, it becomes a prime outdoor event space. Seeking to monetize on this, we as designers decide to convert our wave data into soundscapes. Spotify gets wind of this and higher us as Event planners to design music setlists for a concert series. The music played at these concerts will be based on the environment itself. The wave data set capturing the sinusoidal curve of the wave and the velocity will be converted into soundscapes in real time. So what does that mean? Let’s say you arrive at 10 AM and the waves are crashing, your environment will become an epic party and as the waves calm down the set will become more mellow. This same principle could be applied to multiple datasets.